You look at them and see the finished product, but you don’t see all the hard work, the trial and error, and refinement process that goes into learning to rehearse your best approach. You just see the finished product. You might look at that successful hitter and think, “They must have so much natural talent, how do they make it look so easy? I will never be as good a hitter as that person”. 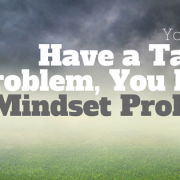 The reality is most hitters don’t have a talent problem, they have a fixed mindset problem. They believe there’s only so much information out there, and if there were more insights that could help them, surely, they would have heard about it. The fact is, the majority of hitters know very little about the truth, they’re stuck in the mud of myths and old thinking. Hitters get stuck believing there’s nothing wrong with what they know about hitting. They believe the system they learned in college or high school is a good plan but 99% of the time it’s full of myths. What makes it worse is since they believe it’s not their system or knowledge base, it must be their ability to access their best FEEL consistently. The problem with that type of thinking is their FEEL is RANDOM and they’re not thinking outside the box enough to make their adjustments accurate and consistent. Ultimately, for a hitter to reach their potential, they must learn the fundamental natural hitting moves that all great hitters share. There’s a freedom in learning the natural hitting moves because you can access your feel by relating your actions to movements you’re already familiar with…and you find these natural movements all around you in everyday life. 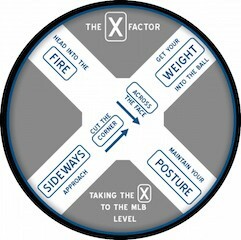 On the highest level, there are fundamental hitting movements that I call “The 12 Touchstones” and they solve 99 out of 100 problems before they come up, but we’ll save that for another day. Hitters don’t give a thought to the fact that their myth filled system is messing with their consistency and their ability to be successful. It’s common for hitters to believe they’re experts in their own right because they occasionally get hot, so they must know the truth. Knowing the truth and RANDOMLY finding a feel that works for a day is a completely different thing. It all changed for me when one day I got an important piece of the puzzle and the blindfold was removed! Frank Robinson (Hall of Famer) took me out to breakfast. I was scared to death, and he told me “THE PLAN” and I was ready to listen. “With two strikes you look for the fastball and do your best to adjust to the “off speed” pitch, but NEVER, EVER get beat on a fastball in your zone! “If the pitcher throws you a trick pitch with two strikes; then, of course, you give it your best shot to protect the plate. If you strike out swinging, you tip your hat but never get beat on your pitch by allowing him to sneak a fastball by you with two strikes! One of my blindfolds was removed by following this plan and I became a hitting sniper! I learned to stop counterpunching and fighting balls off. 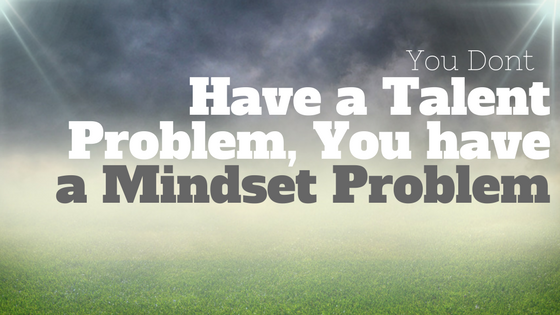 A simple adjustment in my focus gave me a growth-mindset and focus … not fixed minded. A week after Frank sat me down and gave me the plan, I went to spring training and it felt like every at-bat I found myself standing on 2nd base, having just hit a double off the wall, it was surreal. After learning the plan, hitting began to have this perfect order when I was hot! I became a hitter that my coaches and teammates could rely on! I learned to hit my pitch! I didn’t miss in my zone! PEOPLE…THIS IS JUST ONE OF THE BLINDFOLDS! I look forward to helping you remove the rest of the blindfolds so you can see clearly to make bold adjustments. The Art of Hitting The Ball Deeper Approach: Top Half verses Bottom Half?